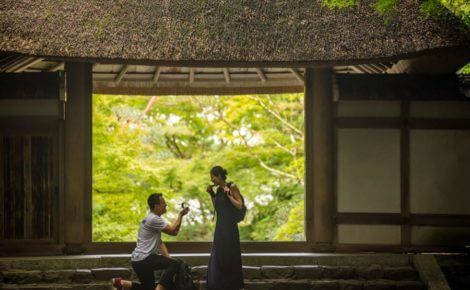 Have you ever wondered how it would be to hire your personal photographer? Javier is a professional localgrapher and is ready to help you to capture your memories from Japan. You decide whether you want candid or posed photos, or if you want Javier to act more like a paparazzi photographer. Book Javier, vacation photographer in Kyoto, now. In brief, my style has been described in three words: timeless, candid but elegant. Relax and enjoy the ride, I will be doing the heavy lifting for you, nothing to worry about, you’ll see. In my life before photography, for 10 years I had a career as a biologist. I'm a hot sauce connoisseur and I'm always on the search for a tasty meal, specially if it is Thai or Mexican. Besides being an avid gym rat, I like sports like swimming. In Kyoto we’re blessed with plentiful access to nature. We’re surrounded by forested mountains, rivers and tree-lined canals. My personal favourite is the Kamo river, a beautiful nature reserve and bird-watcher’s paradise that cuts right through the city centre. 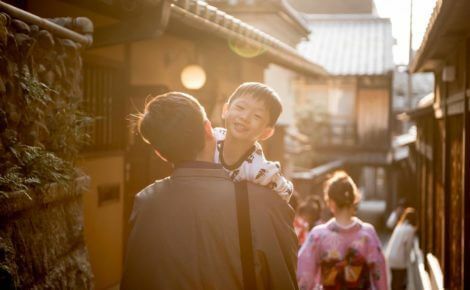 Arashiyama (literally Storm Mountain) is another famed beauty spot, where you can take a boat cruise through the Hozu River Gorge or visit the monkey park. Gosho (the Imperial Palace Park), and the Kyoto Botanical Gardens are also popular picnicking spots. I speak Japanese, English, Spanish and a little Thai. The pictures that Javier took were amazing! Hard to pick our favorites. He really chose excellent backgrounds that capture Kyoto and it was a plus to be there in Sakura season! It was steaming hot in our kimonos but you can’t even tell! Despite the crowds during the cherry blossom season, he managed to capture shots without the crowds. Thank you so much, we are so happy how it turned out! Javier was very professional and we love the photos we took. Javier was very accommodating to my requests. He was able to adjust to my sudden minor time adjustments. The photos were great! We loved it! Even if the photos were taken at night. Awesome job, Localgrapher Team! Thank you so much for the pictures! Love them all!